I’m proceeding with caution, unlike what I usually do when I see a real yellow light. Aaron, the most generous blogger in the Carolinas, has finally gotten hold of the folks over at OC Sport (the organizers of Haute Route) and they have promised to send me a code so I can register without paying. I’m still a bit concerned whether they’ll let me in HR Alps, since it’s officially sold out, but that’s possibly just an excuse for me to keep drinking beer, which I am. The truth is, Haute Route requires more commitment than I’ve been giving my training so far this year and I’m a little apprehensive about it, knowing now what it takes to finish, let alone ‘respectively’ (I would argue that a finish alone is ‘respectable’ for this event). The good news is that I must now have some of those golden ‘miles in the legs’ that seem to be so important for endurance events, and I still have over 5 months to get myself good and mince for the mountains. While I wait for Josie and that magic code, though, I might as well have a refreshment. Bon weekend! This is going to be fun!! I’m almost positive the light will turn green soon(ish). But if you’re looking for an excuse to continue beer, well there ya go. Glad it appears to be working out! I think you’re right, Aaron. But until that time I can live in a bit of denial. They sure do take their time responding to emails. I still think it’ll work out. Bon chance! Seems Josie is on holidays now, so another week of beer at least. I think your ‘semi serious’ is different from mine, but point taken. Are you doing any this year, btw? New bike. 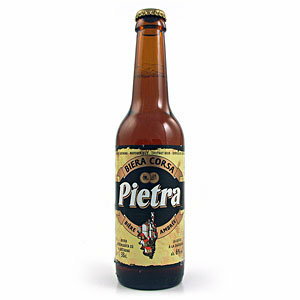 Pietra Form Corsica. Family Coach. Free Entry. What else? I might, yeah. We have some tours at that time, though, so it could take some creative juggling! The Dolomites would be my first choice.